The Bionic Grip™ is an open-ended version of the patented, award-winning Bionic Wrench™. 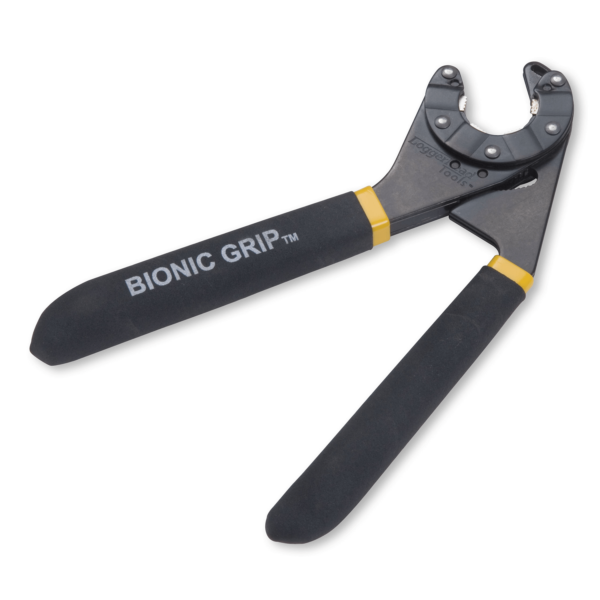 This hand tool brings together the best features of a pair of pliers and an adjustable wrench. 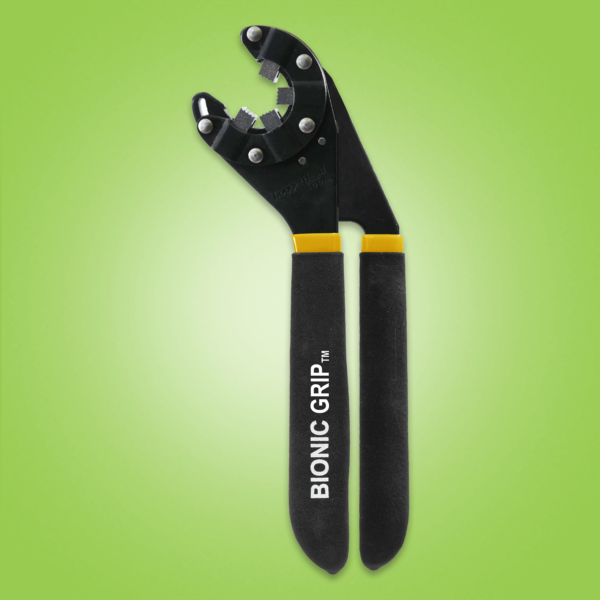 Like the Bionic Wrench™, the 8-inch Bionic Grip™ distributes force around a work surface and automatically grips multiple sizes of nuts and bolts. 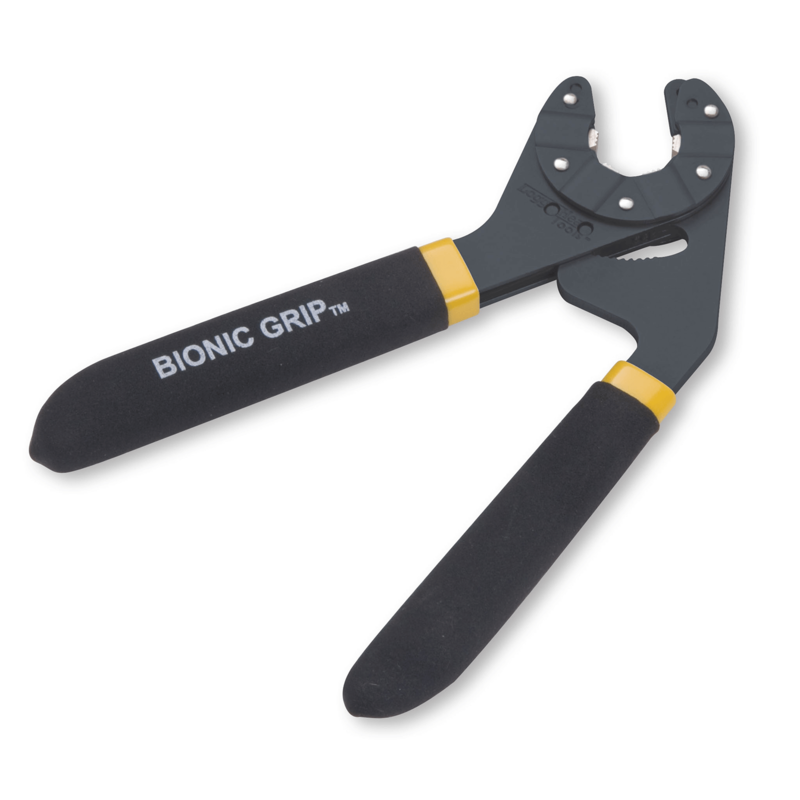 However, the Bionic Grip’s™ open-ended head can go over work difficult or impossible to reach with a closed-headed wrench, including pipes and tubes. 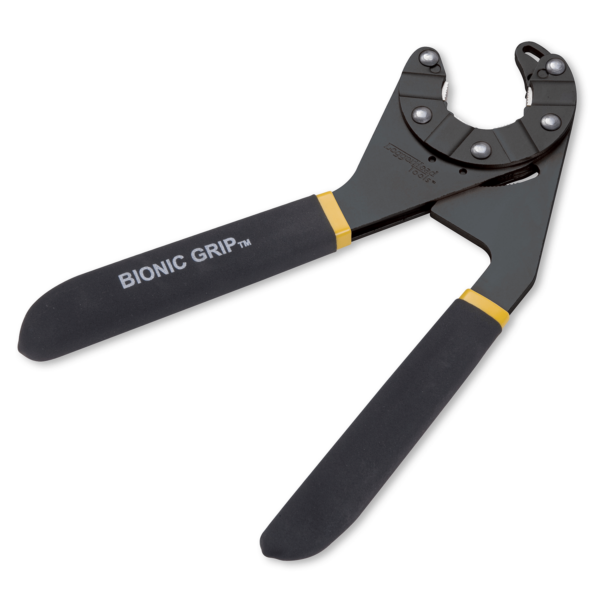 It also has four serrated jaw surfaces and a new Interlock™ mechanism that stays locked while under torque load – making it ideal for use on household plumbing or hydraulic and air line fittings. 6 inch Bionic Grip™ replaces 14 metric and SAE wrench sizes, spanning 1/4 inch to 9/16 inch and 7 mm to 14 mm and instantly grips pipes, fasteners and fittings from 1/4 inch to 9/16 inch. 8 inch Bionic Grip™ replaces 13 metric and SAE wrench sizes, spanning 1/2 inch to 3/4 inch and 13 mm to 20 mm and instantly grips pipes, fasteners and fittings from ½ inch to 13/16 inch.